After watching the trailer (which was a little on the boring side to me), my interest was still sparked so I found the movie on Amazon for $9.95 and watched it last night for the first and probably the last time. To see some of the flies that she tied (which I thought I’d see more of), was very inspiring, but the story went on and on with meaningless animation and music. They could write multiple books about this amazing woman, yet this movie spent a good 40 of its 80 minutes adding unrelated stuff. I posted a copy of the cover below although if you want get your own opinion. By no means am I saying that I have lost interest in learning more about Megan. Heck, I would have loved to have learned from her. 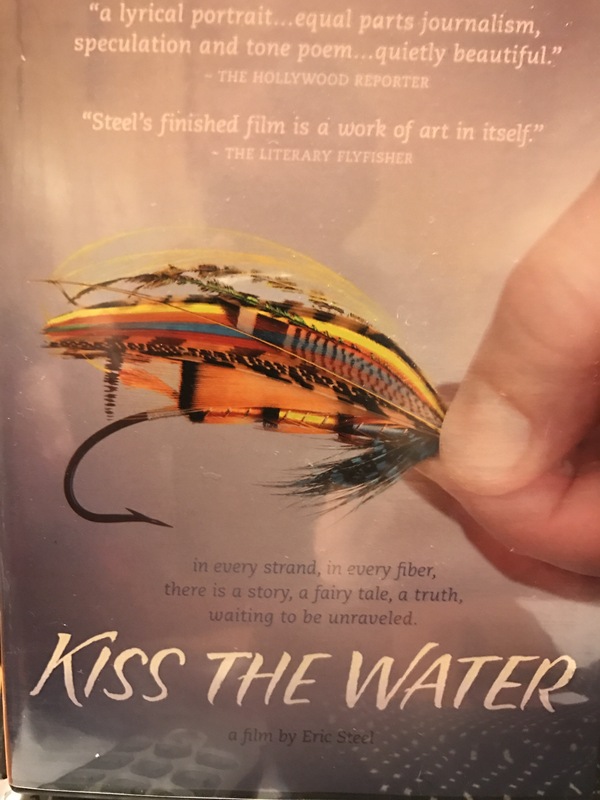 The picture of her above is off of the cover of a book called Megan Boyd: The story of a salmon fly dressing Dec 1, 2016 by Derek Mills and JImmy Young. I found it on Amazon for $30 but I would rather find it at a library just in case (or at least used). Either way, if you are interested in this type of artistic salmon fly Megan was the best. She even made flies for Prince Charles and Queen Elizabeth awarded her the British Empire Medal. Have a good day. Talk to you soon. Healing on the Fly The Late Megan Boyd…Best Fly Tyer The World Has Ever Known.